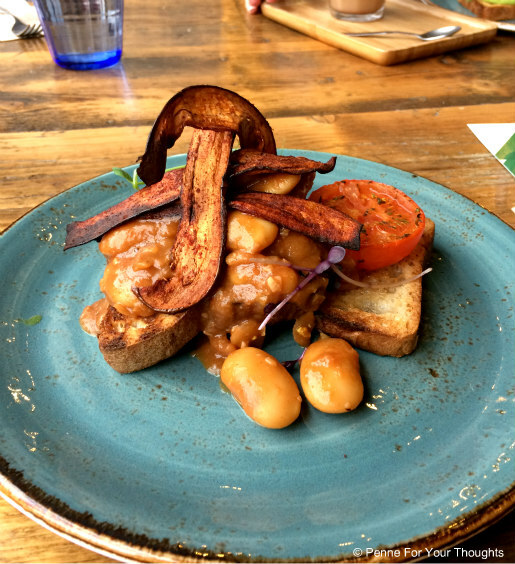 I'm not a vegetarian but I enjoy exploring vegetarian food, and I try to be conscious about how much meat I am eating, and where that meat is coming from, so when I got invited to try out the new breakfast and brunch menu at Natural Healthy Foods in Birmingham city centre, I couldn't resist. 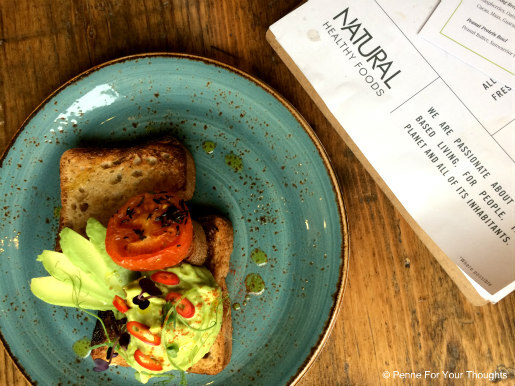 Natural Healthy Foods, located on Suffolk Street Queensway, a short walk from Grand Central and Birmingham New Street Station, is a 100% vegan store and eatery, with almost all of it's products also being organic, free from refined sugar and gluten free. The cafe is tucked away around a corner, but once you enter you are transported to a bright, tranquil cafe with a store on the side. The staff were extremely friendly, and made us all feel welcome. Especially my friend's little girl! Now on to the food. 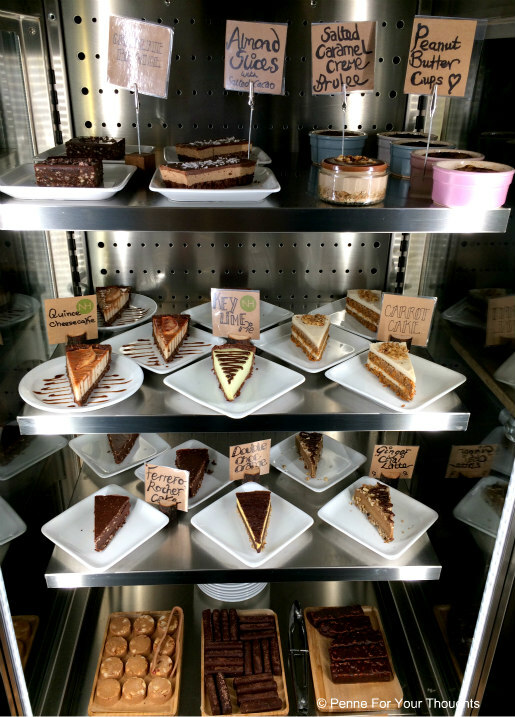 We went to try out their new breakfast and brunch menu, but they also offer options throughout the day including lunches and cake. The cake looked absolutely delicious, and I will definitely be going back to sample them. Once sat down we ordered some drinks, we both opted for a latte. 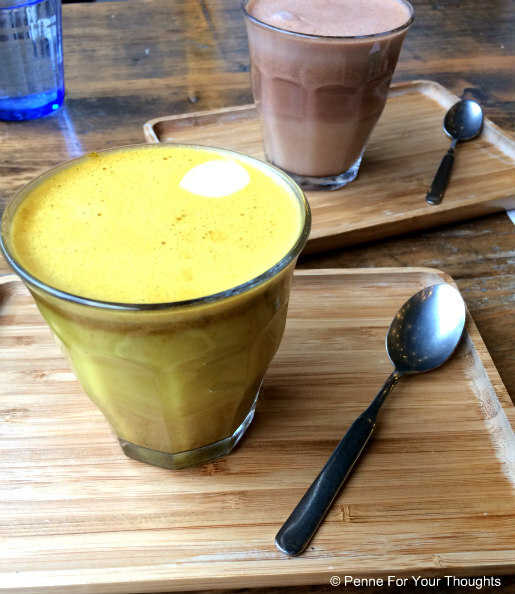 I went for a turmeric spiced latte, and my friend a chocolate latte. I'd never tried a turmeric latte before but I know there's been a lot of hype around them so thought it was time to give it a go. It was an unusual taste, but I did quite like it. In a way it is a very savoury drink option, and perhaps for breakfast I would of preferred something a little sweeter. The chocolate latte though was delicious and I would absolutely have it again. Now onto the food! My friend opted for the Smashed Avocado on Gluten Free Sourdough Toast, which she said was incredible. Creamy smashed avocado, and sliced avocado on delicious bread, which you wouldn't even be able to tell that it was gluten free. I went for the Homemade Baked Beans and Crispy Aubergine on Gluten Free Sourdough Toast. Again this was absolutely delicious. The aubergine is meant to resemble bacon, which as a meat eater I don't think it did, but it was crispy and flavoursome and really added to the dish. Also on the menu was a Full English breakfast which includes scrambled tofu, mushrooms, toast, aubergine bacon & hash browns. 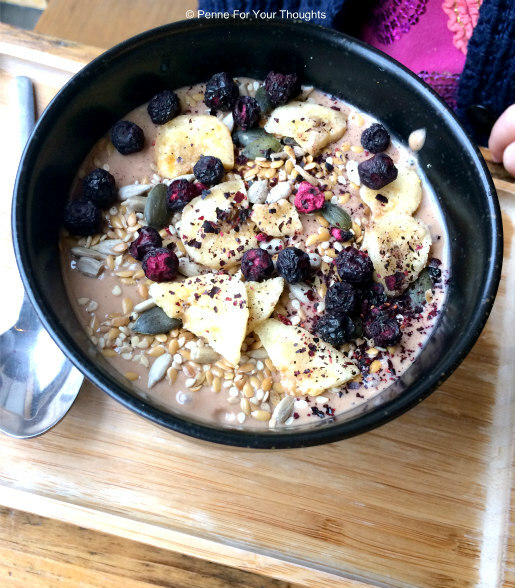 My friend's little girl was eyeing up the Smoothie Bowls which were also on offer, so we ordered the Peanut Protein Power bowl for her. It was a hit! The small mouthful I managed to try, I can confirm it was yummy, and definitely felt like a treat - but knowing it is all healthy, natural food is a massive bonus - especially as the wedding looms! Overall, I would definitely visit here again, especially with my vegetarian friends and friends with intolerances. 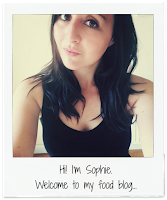 However, as a meat eater I thoroughly enjoyed my visit and the food, and would have no hesitations bringing fellow meat eaters with me as well. Disclaimer: My meal was complimentary however all opinions are my own, and honest, as always. so i knew i'd be safe on the japanese / sushi side. but, i mean, just not that exciting. it began and how it evolved) and what must done to begin reversing these causative factors. Wow! If healthy food is this tempting and delicious, then I am definitely going on diet. I should actually try healthy diet after this post. There is a health fair in one of the San Francisco venues next month and I am going to try some new dishes for sure.